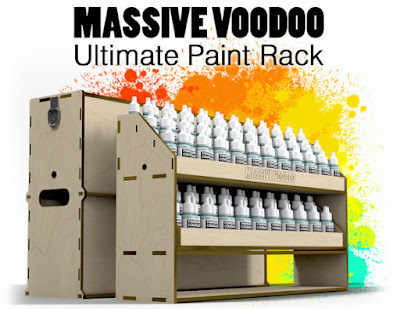 MASSIVE VOODOO: MV Ultimate Paint Rack - Feedback needed! MV Ultimate Paint Rack - Feedback needed! MV just returned from the Scale Model Challenge and this week still keeps the monkeys very busy with mails, projects and even private coachings. No tutorial voting this week again. Shame on us! We are about to write a big final post on the Ultimate Paint Rack Campaign. 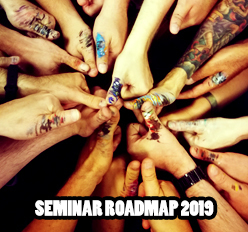 One or two sentences, best with a photo or the Ultimate Paint Rack, explaining what you are doing with it, an experience you had with it or anything interesting or funny that is connected with it! We also would love to hear what you think about the Paint Rack after a while of using it. with the subject "Paint Rack Feedback. If you add in your full name and post adress, the ones that get selected for the final post will receive a little suprise thank you package! There are 4 Kommentare for MV Ultimate Paint Rack - Feedback needed! I don't have one but I'm hoping to find out how to get one. Tutorial Voting: A way full of fire! MV Birthday Contest: Workspaces, Newsflash! Tutorial Voting: Find your way to Khorne! Tutorial Voting: Does Ragnok find his way?